In Photographs > Cabinet Card Photographs > Show & Tell and Sporting Goods > Bicycles > Show & Tell. 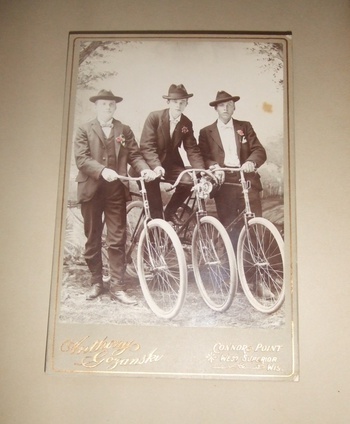 This cabinet card is from the 1890s and depicts three early bike riders. The photograph was taken by Anthony Gozanski of Connors Point, West Superior, Wisconsin. The image exhibits fantastic detailing. Many features on the bikes are clearly visible-- gears, pedals and frame. One even features an early headlamp and another has a handle bar bell! 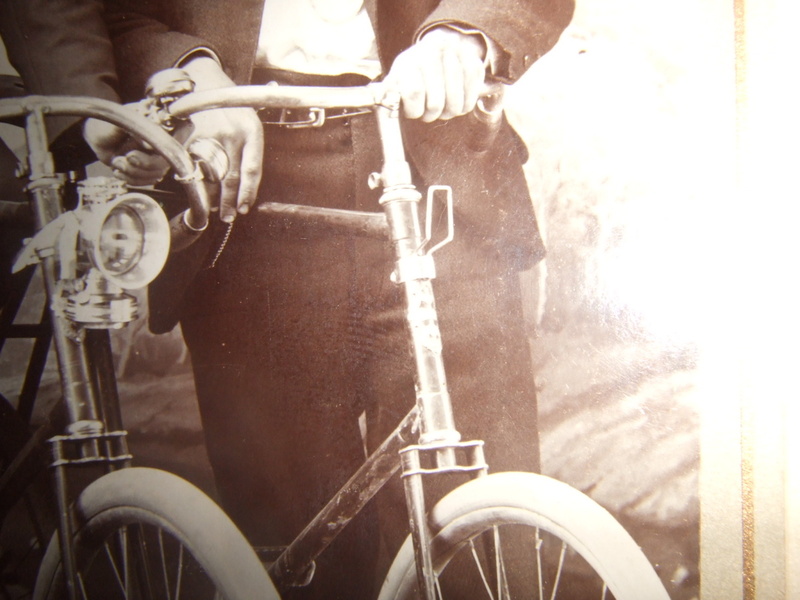 I do not know bicycles, so any input on them is appreciated. 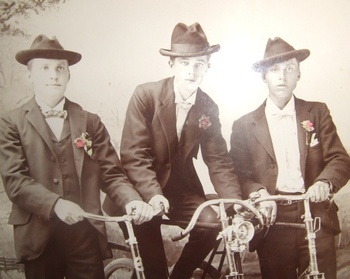 The men appear to be avid bikers. Each man has bands around his lower legs to prevent getting his pants caught in the chain. Additionally, each man sports a tinted lapel flower (my favorite minimalist tinting). Glad you like it bellin. In the last year or so, I picked up several good groupings of images out of Wisconsin. I posted some already but will add more as I get the time. 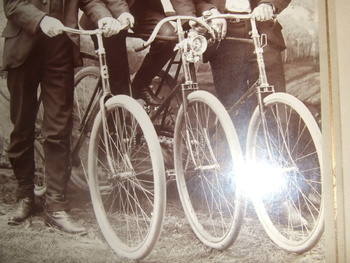 Thanks for looking vetraio and vontrike. Thanks musik, packrat and official.